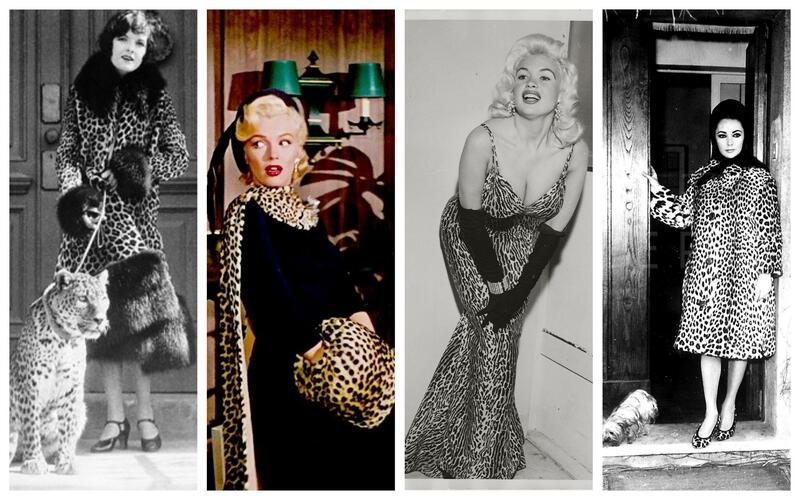 Leopard print outfits are always attention-grabbing, but none more so than American actress Marian Nixon’s. In 1925 she turned heads and probably crashed cars, as she walked down Hollywood Boulevard in a leopard skin coat, accessorizing with her pet leopard on a leash… (This is definitely what you call pushing fashion to the extreme!) 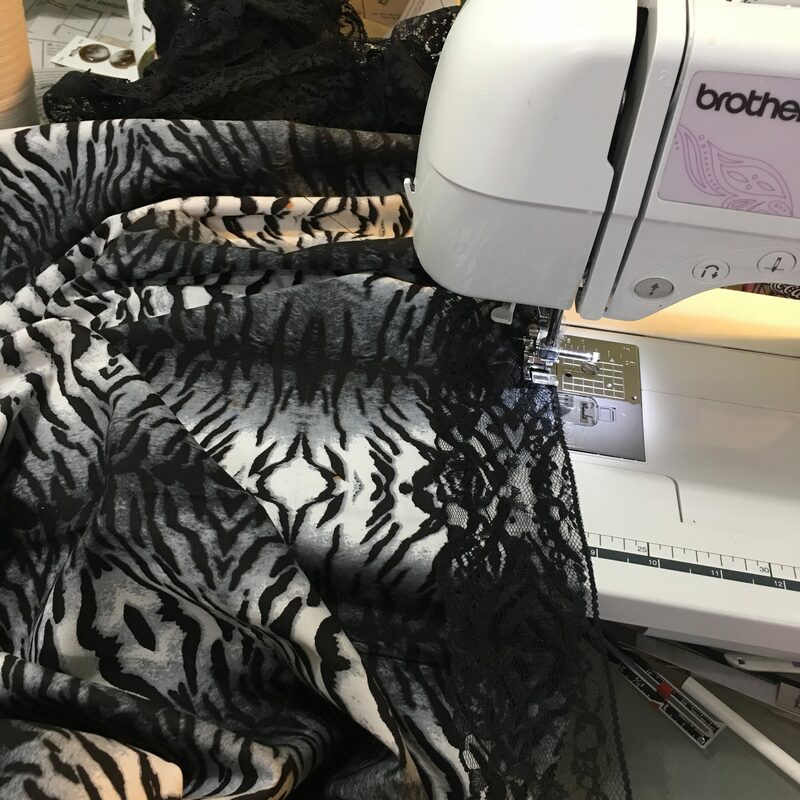 The print became a symbol of Hollywood glamour, used by MGM costume designer Gilbert Adrian and loved by Marilyn Monroe, Elizabeth Taylor and serial leopard print wearer Jayne Mansfield. Animal prints are like neutrals, they’re made up of brown, beige, and black, after all. They’re seasonless, and you can wear them with almost anything. Plus, they add a little edge to your wardrobe, animal print is, as the saying goes, an ‘oldie, but a goodie’. 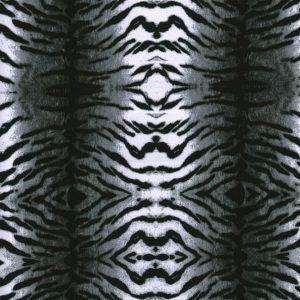 Animal prints are definitely a neutral to me, for years I was looking for the perfect tiger print dress and couldn’t find anything that I liked! 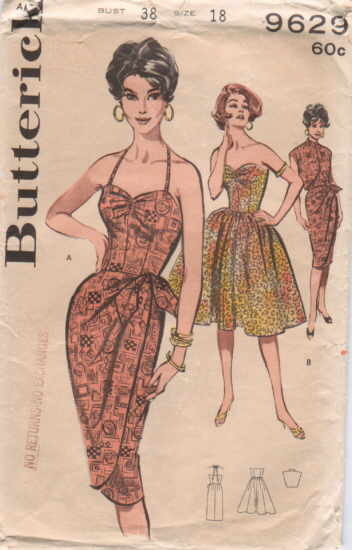 One day, I came across this vintage pattern cover, and it had the perfect animal print dress illustrated on it! This is what inspired me for my project! For this project I wanted to use a vintage pattern reprint, it is, MCCALL’S MISSES’ DRESSES AND CUMMERBUND 7748 Circa 1957. It is a lined dress with neckline variations, attached petticoat, gathered skirt, and invisible zippers. I am making view A, I love the halter neck neckline style. I love the how the straps cross over each over at the bodice and merge at the armhole to create a unique “V”. 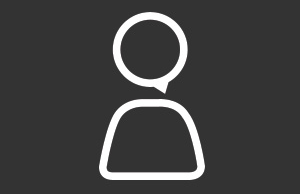 This is a design feature I’ve never seen before! 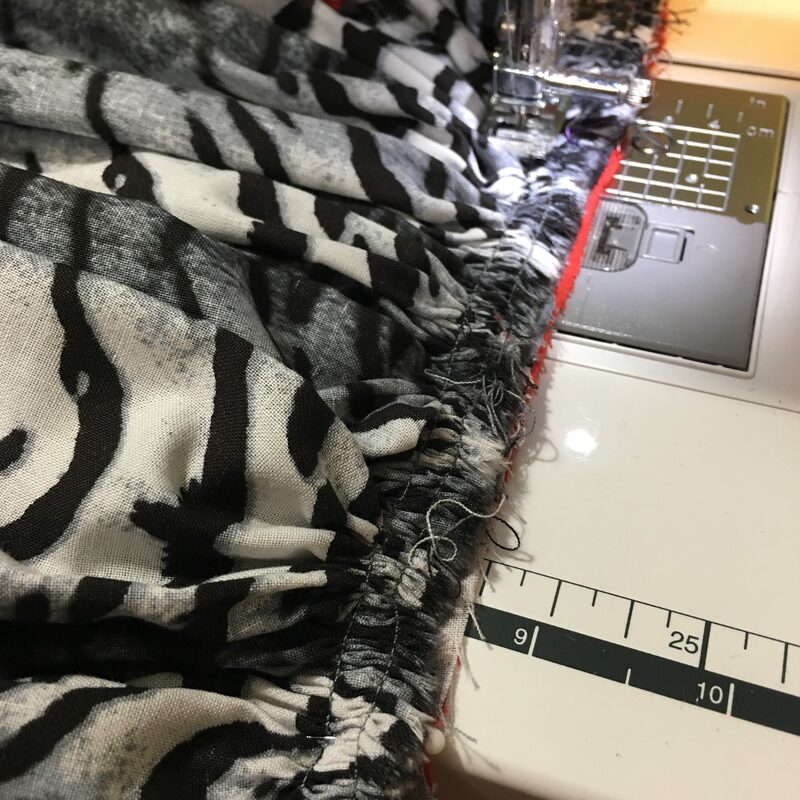 As fore the fabric, I chose this gorgeous grey tiger skin printed cotton, from the Jungle Life collection and for the lining a red cotton poplin. I love to add contrasting lining inside my dressing, it adds a nice pop of colour! 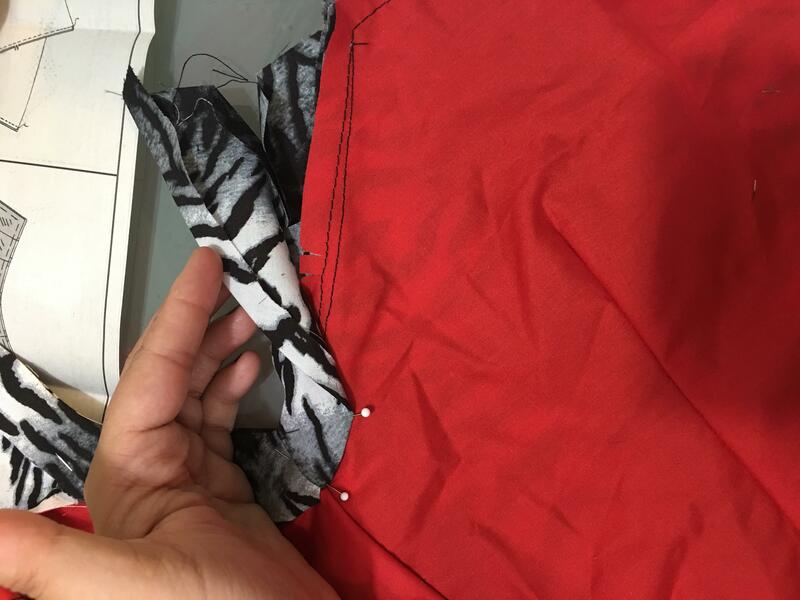 What I like about sewing with a vintage pattern is the new/old sewing techniques you learn along the way. 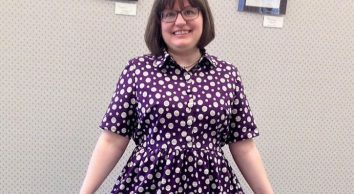 I find that in every projects I make with a vintage pattern, I learn a new technique, that we don’t use or teach anymore in modern dressmaking. Especially, garment finishing techniques.  Sometimes, I feel that, today, we are not taking the time to make a dress as pretty inside than outside. Therefore, I have learned that this is what vintage sewing is all about. Yes, it takes more time, but it’s more rewarding in the end and your dress will last longer. 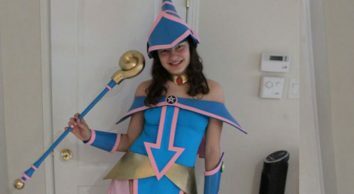 The sewing process was quite fast, I made the entire dress in 5hours or so. 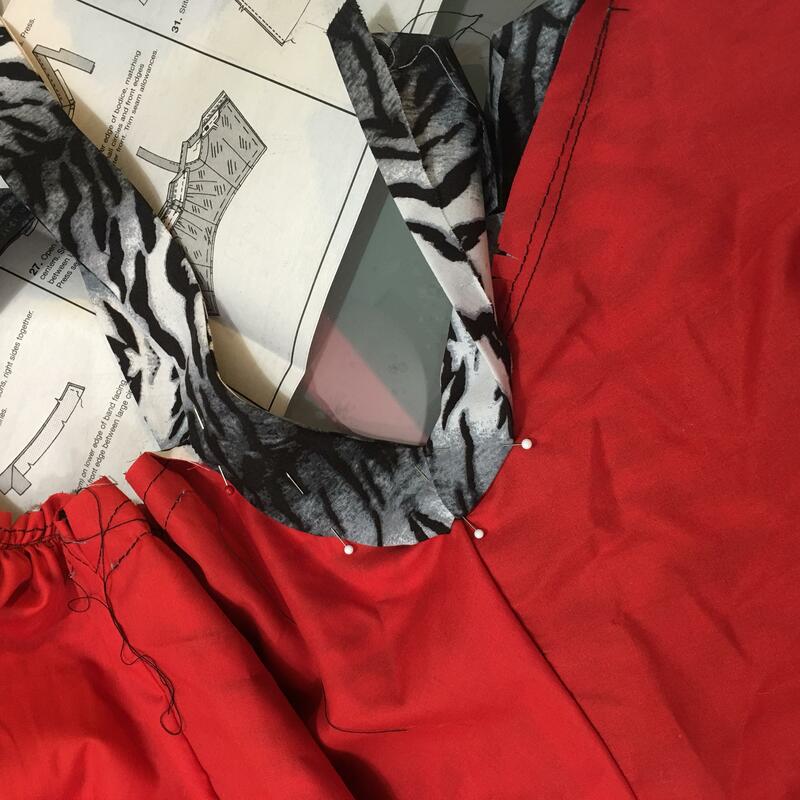 The most challenging part was making the armhole with the bands. It is quite tricky to install the bias bands and sew a nice curve. In my opinion this is what’s rising the level of difficulty of the pattern. 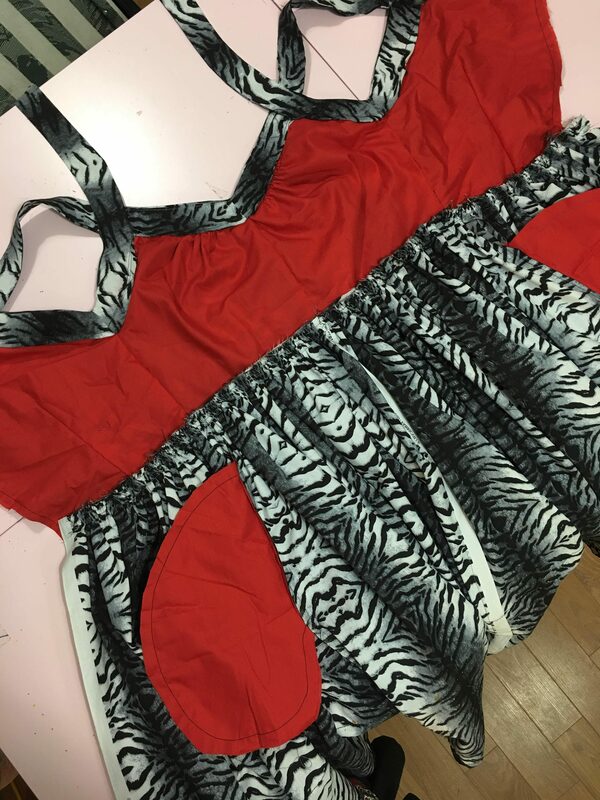 The way the dress is lined, I really don’t like the fact that the pattern instructs you to sew the lining and the bodice at the waist and sew the skirt on top of it. This leaves the awful and bulky raw edge of the gathered skirt out. Knowing this, I would tuck the gathered skirt’s raw edge in between the lining and the bodice the waist, for a cleaner finish. Besides that, I am very please with the dressmaking process. I skipped the crinoline since I already have a good puffy petticoat that I can wear underneath the dress. I also decided to not make the cummerbund part. I felt that it would have added a lot of weight on my waist and not look flattering for my silhouette. Didn’t interfaced the bands, I felt it would make them too stiff. Also, I felt like the cotton is thick enough to give enough body to the bands. 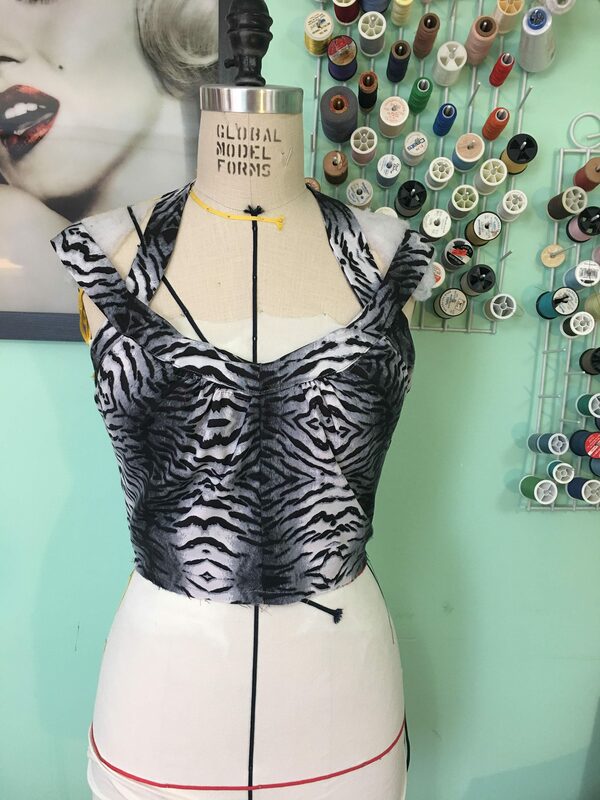 I felt like there was something missing to dress when I finished it, it felt like it was blend, even with the beautiful tiger print. So, I decided to add A LOT of trims to this dress, to make it more fun! I know it is not everyone’s taste, but I like my dresses to be over the top! 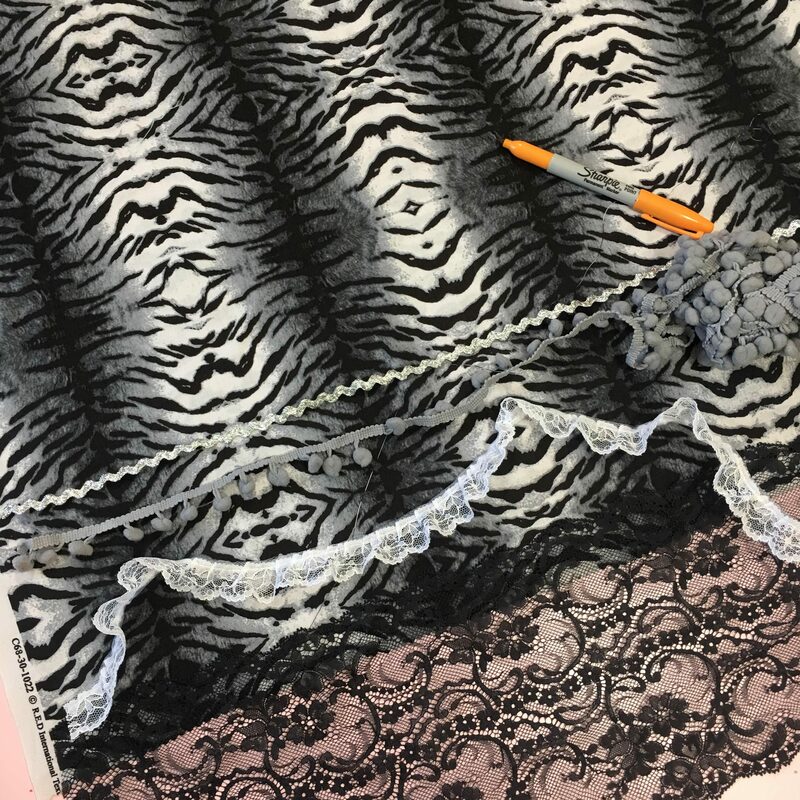 So, I went to Fabricville and basically bought 3 different style of trims, because….why not!? I really think it adds a lot to the dress design, it makes it more special! I love that there’s just enough contrast between the trims and the fabric pattern, it makes all the details subtler and it doesn’t steal the attention from the dress. Sewing time: 5 hours, from cut to finish. I am a fast sewists and this pattern is pretty straight forward. The most time-consuming part is really the bands. 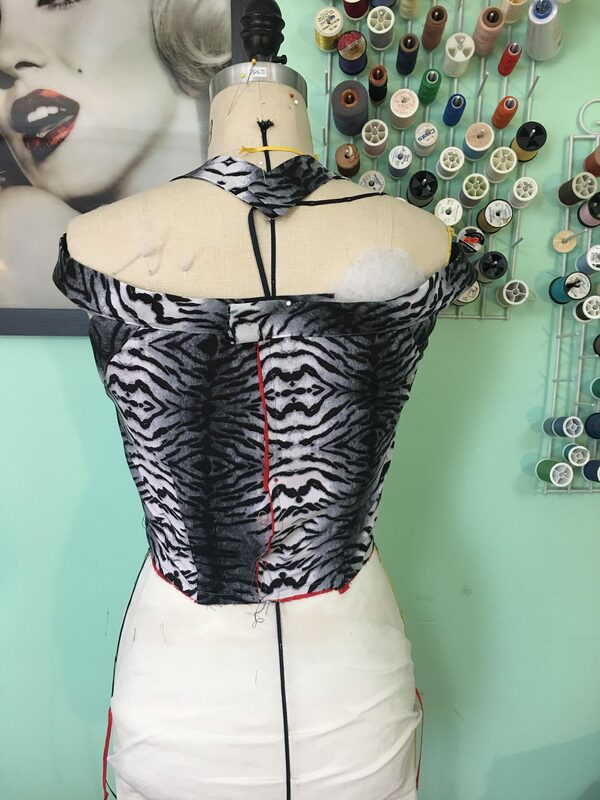 Modifications: I shortened the bodice waist band for my body shape, and I had to reduce the band length at the neck and shoulder, they were too loose. Fit: Surprisingly good! Perfect on the bust and waist. Difficulty: I would classify this dress as a medium difficulty. The skirt of both of these dresses is VERY heavily gathered. I gathered the skirt as much as possible and may have made a few discrete tucks to fit in onto the bodice. Watch out for: The way the lining is attached to the bodice. Make again? 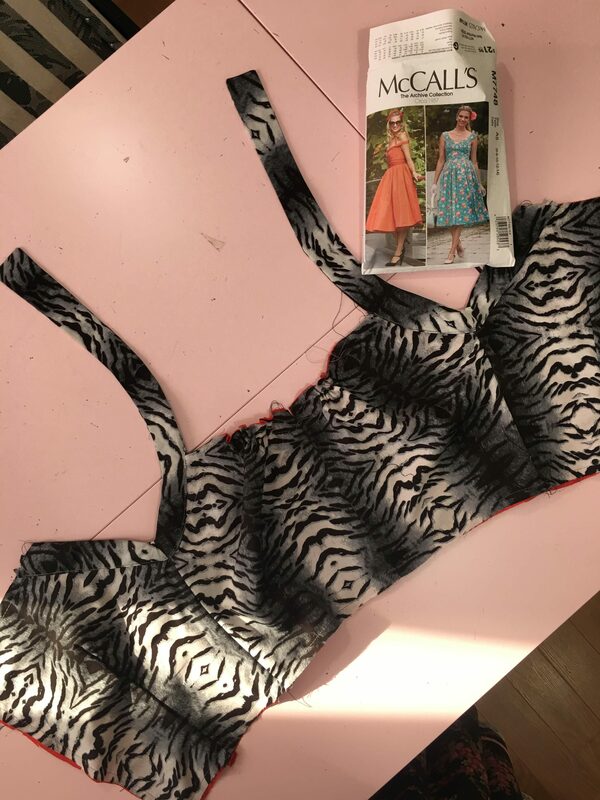 : yes I would, but I’ll try view B.
I am very happy of the final garment look, I can’t wait to wear it at my next Rockabilly event and twirl my life while jiving! I absolutely LOVE this dress and I had the chance to see it in real life! You are so full of ideas and talent! Continue inspiring us!